FIRST Tech Challenge® (FTC®) is for high school age youth to create remote controlled robots using the LEGO® MINDSTORMS® intelligent brick and TETRIX® parts. Four teams compete on the same playing field. The teams form two alliances for the tournament match. An alliance partner in one match could be your opponent in the next match. 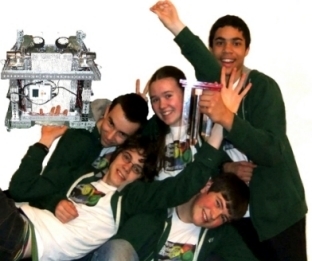 In 2009, we started our FTC team FIX IT. Find out more about sponsoring the FIX IT team. Meet the FIX IT team, or read more about what the FIX IT Team has been doing. Thinking about joining the FIX IT Team? 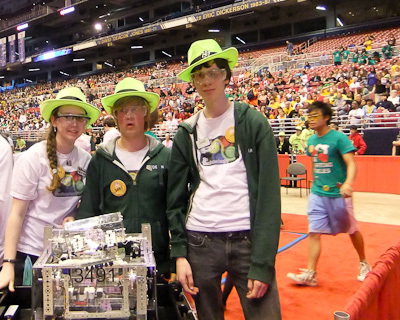 Benefits of Being Part of an FTC Team - Team members can choose from many opportunities. Here's a sampling of the opportunities some of our team members have explored over the last two years. But most of all, Having Fun!!!!!!!! Roles on a FTC Team - Team members are encouraged to be involved in 2-3 activities. There's lots to choose from. 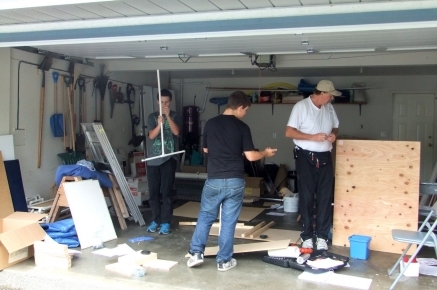 Some activities must be done by team members, but other activities can be done by supporters of the team. How to become a member of the FIX IT Team? Contact the FIX IT Team. if you'd like to find out more about the FIX IT team. Our FTC team funds the team by running robotics camps and Library Workshops so other kids can discover the fun of robotics. These FIRST Tech Challenge teams are part of the Victoria Robotics Club.